Why do Bangladesh struggle overseas? View Poll Results: Test Format: why do Bangladesh struggle overseas? 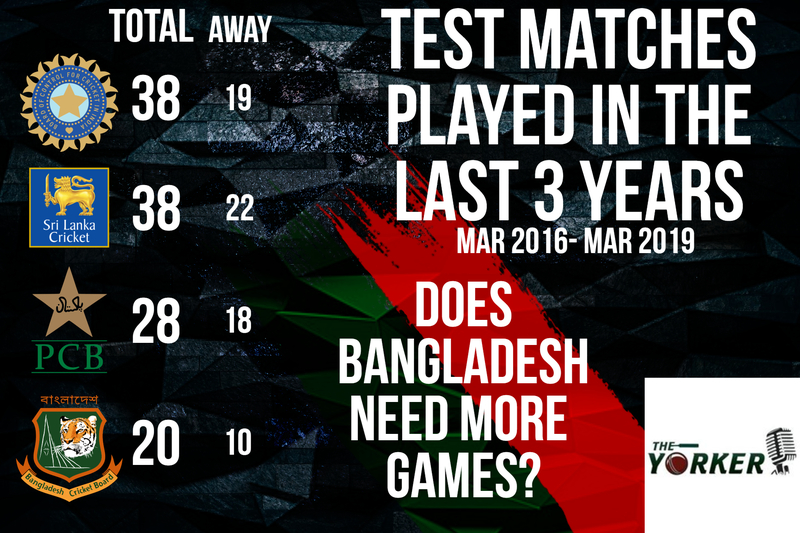 Test Format: why do Bangladesh struggle overseas? Thought, it will be interesting to see what members think. Added a poll on BC. Lack of quality deshi meal. Last edited by Fazal; March 7, 2019 at 03:06 PM.. Uh oh, I have a IG post very relevant to this. But should I put it here? I was just accused of plugging my stuff on here....hahaha. But hey, I see you plugging your twitter, so I might as well, as it's very relevant. -Lack of Quality Fast Bowlers who can take 20 wickets, might be blamed on the policy of domestic teams back home to pack their team with spinners due to the pitches and giving them most of the overs. 20 isn’t that bad right? How many of those have we won? We need a better pace bowling coach above all. Our pace department went to bad right around the time Walsh came in and he had better players than Heath Streak.